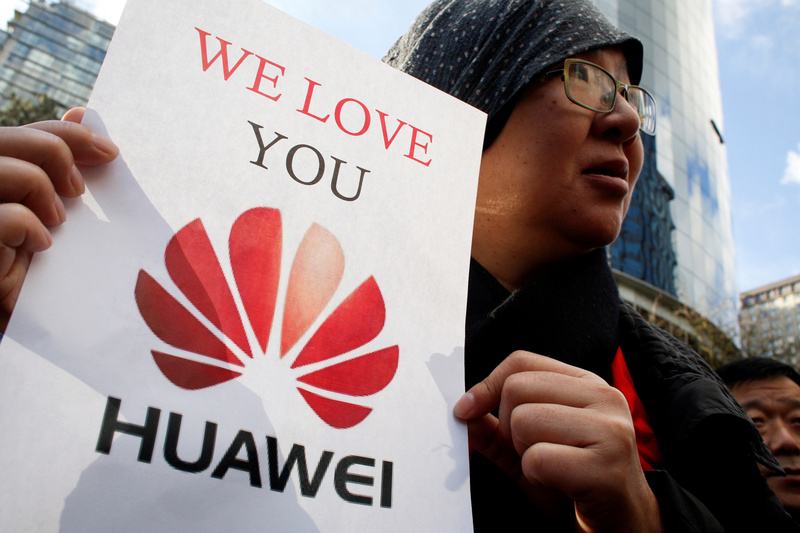 Lisa Duan, a visitor from China, holds a sign in support of Huawei outside of the B.C. Supreme Court bail hearing of Huawei CFO Meng Wanzhou, who is being held on an extradition warrant in Vancouver, British Columbia, Canada December 10, 2018. China's envoy to the European Union warned that excluding tech group Huawei could hamper the continent’s development of the next-generation mobile networks, so-called 5G, the Financial Times reported on Jan. 27. Efforts to limit involvement of Chinese technology in upcoming 5G projects in Europe might bring "serious consequences to the global economic and scientific co-operation", Ambassador Zhang Ming said in an interview with the newspaper. Vodafone, the world's second-largest mobile operator, on Jan. 25 said it was "pausing" the deployment of Huawei equipment in its core networks until Western governments give the Chinese firm full security clearance.